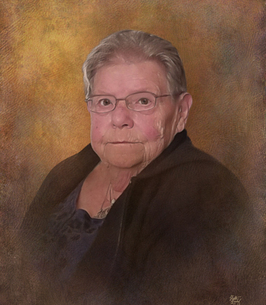 Mrs. Janet Arlene (Shoopman) Baatz, age 79, of Spring Hill, Florida, formerly of Center Square and Hanover, Indiana, entered this life on October 27, 1938, in Waldron, Indiana, the loving daughter of the late, Walter Lee and Anna Pearl (Shelton) Shoopman. She was raised in Waldron, Indiana and was a 1956 graduate of the Waldron High School. Janet was united in marriage on May 12, 1956, in St. Paul, Indiana, to the late, Loyd Delmer Baatz. Janet and Loyd shared 55 years of marriage together until Loyd passed away on August 4, 2011. Janet was employed as a book keeper for Triton Central High School in Fairland, Indiana, from 1978 to 1987. Janet served as secretary for the assistant prosecutor and attorney for Switzerland County, from 1989 to 2001. She was employed for People's Trust Bank in Vevay, Indiana, for one year. Janet was a member and worthy matron of the Bennington Order of Eastern Star Chapter #407 and the Fairland Eastern Star Chapter #359. She was a former member of the East Enterprise United Methodist Church and after moving to Hanover she became a member of the Hanover United Methodist Church. Janet enjoyed cooking and gardening and spending time with her family. Janet passed away at 6:40 a.m., Monday, September 17, 2018, at the Sturgill Hospice Care Center in Brooksville, Florida. 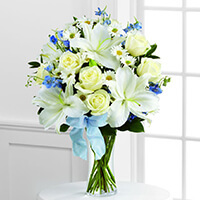 Janet is survived by her sons, David Baatz and his wife: Linda of Shelbyville, IN and Scott Baatz of Spring Hill, FL; her daughter, Janet Lynn McIver of Spring Hill, FL; her grandchildren, Roger, Loyd, Josh, Bryan, Sam, Alli, Jeremy, Terry, Melissa and Joey; her 30-great-grandchildren; her 4-great-great-grandchildren; her sisters, Rosalind Gaffney and her husband: Mike of Brookville, IN and Candice Milbourn and her husband: Bruce of Brookville, IN; her sister-in-law, Ramona Miller of Bennington, IN and her several nieces and nephews. She was preceded in death by her parents, Walter Lee and Anna Pearl (Shelton) Shoopman; her husband, Loyd Delmer Baatz, died August 4, 2011; her grandson, Todd Baatz; her infant brother, George H. Wainscott and her sister, Emma Jane Kahn. Friends may call 4:00 pm - 7:00 pm Sunday, September 23, 2018, at the Haskell & Morrison Funeral Home, 208 Ferry Street Vevay, Indiana 47043. Funeral services will be conducted Monday, September 24, 2018, at 11:00 am, by Pastor Bill Madison at the Haskell & Morrison Funeral Home, 208 Ferry Street Vevay, Indiana 47043. Interment will follow in the Vevay Cemetery, Vevay, Indiana. 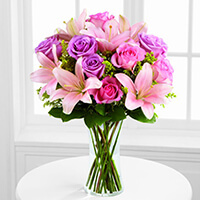 To send flowers to the family of Janet Arlene Baatz (Shoopman), please visit our Heartfelt Sympathies Store. We are so sorry for your loss. She was such a joy spending time with her. Much love and prayers. Extending deep and heartfelt sympathy to you and your family during this difficult time. Scott and family I am very sorry for your loss. Scott I have known you many years and always here for you. thoughts and prayers are heading you way to help during this very hard time. I know how much you loved your momma. god bless and if you need anything please let me know. Terry, we are so sorry to hear about the loss of your grandmother. Our prayers go out to you and your family. I want you to know that your family is in my thoughts and prayers. Janet was a lovely lady and always welcomed me into the Baatz home. She always had a beautiful smile and an easy laugh. She and Lloyd were fixtures at the many performances of their talented children throughout high school. Even though they moved away from Shelbyville many years ago, whenever I go past their old house, I always think of it as Baatz' house. To Lynn and brothers, and their children and grandchildren, my heart is with you at this difficult time.